Life on the Gravelly Road: Entertainment Center "Remodel"
We've had the piece of furniture that used to be our entertainment center for years. 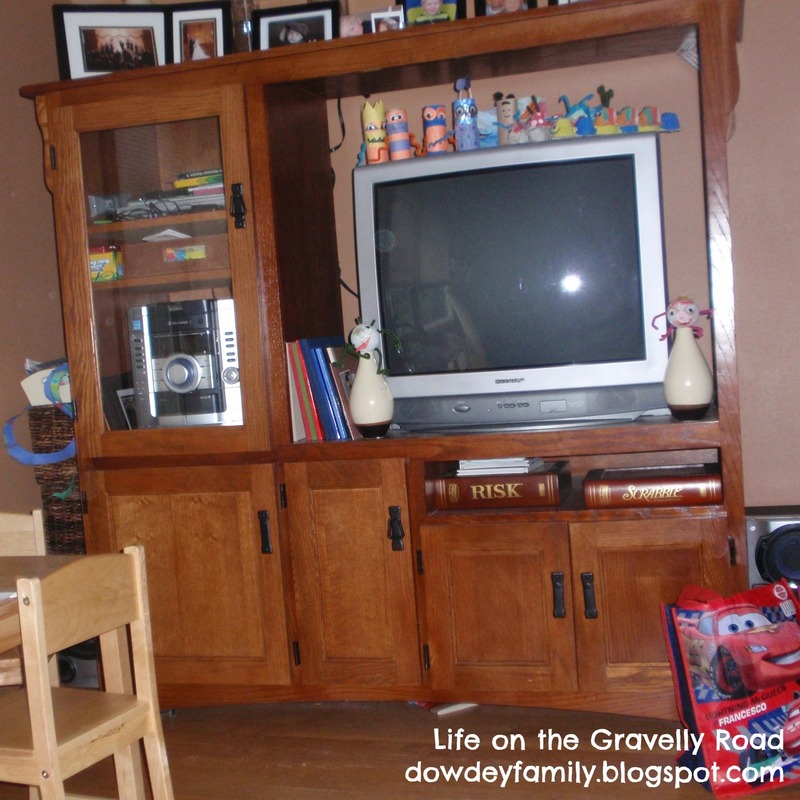 Our last home had a built-in entertainment center in the family room though and we eventually ended up getting a larger tv that no longer fits in this one (how does that happen?). So at some point an old tv sat in this entertainment center in the living room and mostly just the stereo was used. When we moved, I still didn't want to get rid of it. I love that it matches the rest of our furniture set. Plus the lower storage cabinets in it works well for games and crafts. 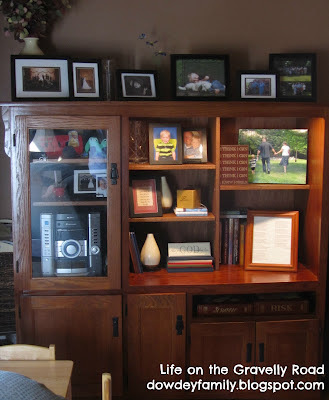 So, this fall my wonderful and talented husband did a mini-remodel of our entertainment center to make it a bit more useful. Very nicely done! It looks great!